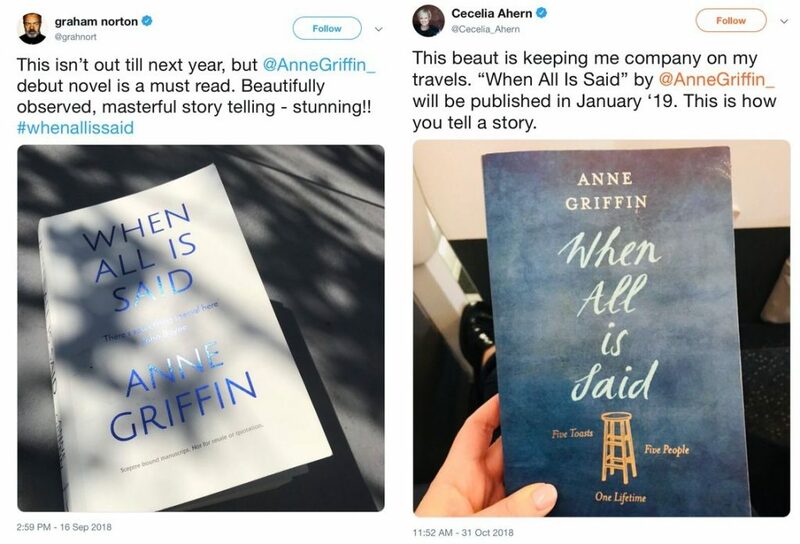 WHEN ALL IS SAID, Anne Griffin's hotly-anticipated debut out next year! | Zeno Agency Ltd. 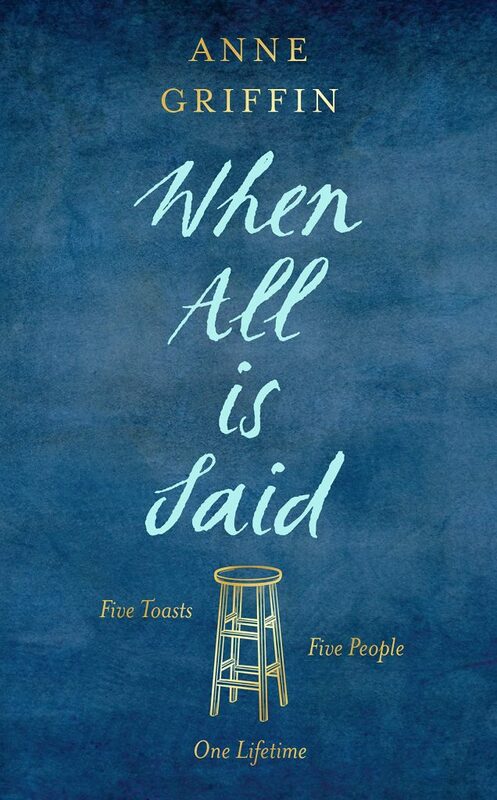 WHEN ALL IS SAID, Anne Griffin’s hotly-anticipated debut out next year! Over the course of this evening, he will raise five toasts to the five people who have meant the most to him. Through these stories – of unspoken joy and regret, a secret tragedy kept hidden, a fierce love that never found its voice — the life of one man will be powerfully and poignantly laid bare. The novel is also due to be published next year (March) in North America by St. Martin’s Press, with many translation editions on the way as well! We’ll keep you updated on these upcoming editions as soon as we have more information. As we stated above, the novel has already been receiving some incredible reviews, from authors, reviewers and others. Here are just two examples, from Graham Norton and Cecelia Ahern…! previous: Andrew Hodges on the History of AI, Alan Turing and more! next: New limited edition of Lavie Tidhar’s UNHOLY LAND available this month!